Twyla is originally from Cambridge, MA, and has studied dance and performed with some of the most elite dance companies in New England for over 22 years. As a child, Twyla performed all over New England with “Daragee Drum and Acon con” Professional West African Ballet. Wanting to mold her love of dance into a professional skill, Twyla received a Masters Certification of Techniques at the Blade Dance Academy and The Hip-Hop Dance Conservatory of New York. 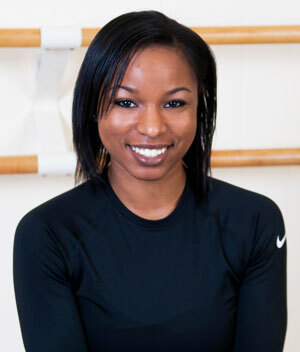 She later began teaching culture and expression at Jam’nastics Inc. as a performance coach for the Elite Hip-Hop team, choreographing award winning pieces at major shows at the Strand Theatre, the Apollo, and the Patriots Super bowl games. Her choreography has been featured in performances produced by Michael Bivens and B2K’s J-Boog. Most recently, Twyla worked as a Dancer on the #1 dance game for Xbox, Dance Central, with featured popular music artist, Usher Raymond. Twyla was a featured dancer at America’s #1 gaming convention, performing choreography by Usher Raymond and other local artists.